In 2009 the charity published and distributed the unique book on ME, Lost Voices from a hidden illness, which was compiled by Natalie Boulton and highlighted the situation of those severely affected by ME and their families. This book was ordered by patients, support groups, healthcare staff and researchers in twenty countries. Invest in ME ordered two batches of the book during the time it was available. Lost Voices was also sent to medical and public libraries. 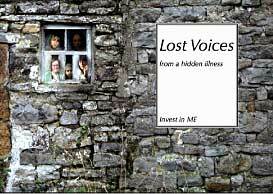 Invest in ME self funded the cost and distribution of nearly 250 copies of Lost Voices to politicians, journalists, television and radio presenters, doctors, ME advocates, healthcare staff and to others whom we thought would help raise awareness of ME or be instrumental in changing perception regarding ME. Lost Voices has been included in study material for courses on 'The Chronic Illness Experience' at De Paul University, Chicago, USA, an important centre involved in ME/CFS research where Invest in ME have offered to supply the book for free for future courses. The charity sent the book to two prime minister's wives. Via one of our great supporters in the USA a copy of Lost Voices also found its way to the White House. Lost Voices has met with widespread appreciation from patients, carers, family, friends, doctors, consultants, researchers and MPs concerned about the plight of sufferers. At the end of this article are some of the comments we received from readers of the book. The name 'Lost Voices refers both to the fact that people who are severely ill with ME are generally not in a position to make themselves heard, and also to the way that the prejudiced denial of ME - as an 'aberrant belief' rather than a devastating physical illness - has meant that often others are incapable of actually hearing and seeing what is being said and shown - our voices drop into a void. Art has the power to move people, and combined with documentation ' Lost Voices' brings the situation more vividly to life. The book was primarily written by people affected by severe ME- whether as sufferers, carers or families - those very severely affected – house-bound or bed-bound - are represented. The book was a high-quality, A4 landscape size with a laminated card cover with pictures, mostly in colour. An opportunity for people who are usually invisible and unheard to speak for themselves, so that their situation can be seen and understood more clearly. It clearly and movingly showed the evidence of the devastating impact this physical disease has on individuals and their carers and families. It brought to more public notice the plight of ME sufferers. It helped change a widespread lack of comprehension based on general misinformation, vague definitions, guessed numbers and statistics, to the development of empathy and concern for those who are so ill. It educated the medical profession, the public and others such as wider family. It hopefully	encouraged a sense of community among ME sufferers and those supporting them. The stories and photographs were provided by carers, families and, as far as possible, people with ME themselves.
' Lost Voices’ represented different families, showing the impact of the illness on all family members and sufferers and carers. We also incorporated a section of informative material on ME written by experts including Dr Leonard Jason and Dr John Chia, and from Annette Whittemore - founder of the Whittemore-Peterson Institute in Nevada, as well as contributions from other charities. Lost Voices provided a unique opportunity to hear from people with ME and their families, telling what they felt was important for others to hear, about their situation, about their lives. It’s breathtaking – very beautifully produced. I am dipping into it – it’s great for reading in small pieces, which as I have severe ME is the easiest thing for me. The book surprised me - it's really professional, and I'm glad it's out there. It's all that anyone would want when they're needing a community; because there's lots of us out here. Everybody is living in very extreme circumstances. It's a very well judged mixture of medical / scientific material and case /study/ witness stuff, including of course pictures which as ever are worth a 1000 words. I thought the introduction was extremely helpful, and very necessary since that ground simply didn't get covered in any other way.. I am looking forward to lending it to one or two people who should be interested. I just want to say that I think Lost Voices is superb, you have produced a stunning book. All your hard work has certainly paid off, this book will be an enormous help in getting through to people just how devastating the illness can be. Thank you so much for your beautifully presented, moving book. We have just received our copies of Lost Voices, and I had to write straight away, on behalf of us all, to try and convey our feelings. 'Thank you' seems inadequate when considering what you have all put into this incredible book, but it is said sincerely. The result of your vision and effort is a book that is stunning, powerful and extremely moving. I have never seen anything like it and we are all proud to be part of this landmark book. Thank you so very much for giving us a voice. You have done something truly amazing. It is in the hope of educating both doctors and the general public that Lost Voices has been created. It is a high-quality, beautifully presented book, with written accounts alongside colour photos. There are also contributions from experts in the illness, doctors from both the UK and abroad. I would recommend to anyone newly diagnosed. Despite its hard-hitting nature, however, I feel Lost Voices is moving rather than depressing. There is a strong message of strength in adversity. I Really I just wanted to say thank you so much for the fantastic Lost Voices book. I feel so privileged to have been able to take part in such a brilliant book. It is so professional and eloquent that it can't fail to have an impact. I'd very high hopes for the book as we'd put so much into it from our end for our small bit and I knew some of how much you were putting into it. But I have to say that when I received my copy it far exceeded any of my expectations. I was blown away by it! It is going to take me some time to read but I will definitely read every bit of it! ..I'm very grateful to have been able to take part in the project. The amount of time, energy and devotion you've poured into the book really shines through. I hope you realise what you have done for us severe ME sufferers. We would be quite lost without people like you fighting our cause. For the first time I feel like I'm no longer being ignored because through the book I will be heard - that is quite a feeling. THANK YOU. I received my copies of Lost Voices and all I can say is WOW. You have done an outstanding job with this book. It is great to look at, brilliant layout and ME stories and pictures. A big thank you for making this happen. The book is a brilliant. I am ordering loads more now (I only ordered 4) With much appreciation for your herculean effort/time/dedication and goodness knows what else. I LOVE THE BOOK.! :). It's beautifully presented. creative and artistically designed. Wow!! Thank you for all your hard work in producing 'Lost Voices'. I've just dipped in and out of it but think it is brilliant. Deciding to take part was a really big thing for me - as I'm sure it was for the others - but I'm so glad I did, Seeing my work in print, in such a professional book gives me a real sense of achievement - not something easily attained with severe ME. I've just read a handful of the stories, but in each one I've seen something of myself and understood what they've said. That in itself has been a comfort and reassurance. All the entries have been powerful and hard hitting and, while relaying the harshness and reality of severe ME have also conveyed the power of the human spirit, showing that people can survive and how they can still have strength and hope despite being so limited. I hope SO much that our experiences will help change peoples perceptions of ME. Well done, what a fabulous book - not just because I'm in it!!! - I've read bits here and there and it certainly packs a punch. I'll be handing a book over to ... and there's a good few people I know who have requested it, and the library better not refuse to take this one!! ...the traumatic experience of having ME so severely that my life was under threat for a prolonged period of time. As a result I am struggling with memories of all I went through and cannot face looking at the book. In time I will though and I congratulate you on you achieving your goal. Whenever I tell my story people are horrified, but rather dismiss the idea of severe based on the idea that such severity must be rare. This book is so beautiful and inviting : a testimony to those in this awful condition. It makes me even more strongly aware of the need for determined investigation and questing diagnosis rather than consigning people to the dustbin label, 'All in the mind'. Needless to say I have only read a few pages but what an impact it will make upon the reader. I think I'll need a box of tissues to get through it. As I looked at my friend's copy of the book tears filled my eyes. Tears of sorrow for my friend who is in her 20's and has been bed bound now for over 4yrs. Tears for her Mum and her Dad who are exhausted having nursed her on their own since she was first ill which is about 6yrs now. Tears for her elder sister who bottles up her feelings as she doesn't want to add to her parents load. I also felt immensely grateful that my daughter, after 8yrs of having the disease, is now 90% better. This is a fantastic book, as it really explains the illness. I hope it will wipe out the "pull yourself together" & "this is just psychological" attitudes that still exist. The sooner every GP and School Doctor reads it the better, it can be such a struggle to get someone to believe in the illness. Am quite overwhelmed. It is amazing!. Yesterday I received my copy of 'Lost Voices' and I am writing to say thank you, and to tell you just how spectacular it is! It's marvellous! What a wonderful work it is! The photographs are so colourful and give the reader real insight into this disease in a way that words can't express. The poetry and prose is so excellent, explaining so clearly that this disease has such devastating effects for both sufferers, families, friends and employers. 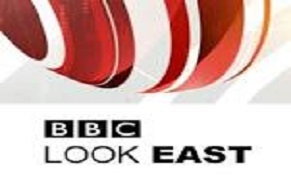 It highlights the difficulties with the medical profession, the DWP and government ministers. It grapples with the nonsense theories from psychiatrists, explains some of the disease process from those who are so knowledgeable and notes the issues of vested interests. It is lively, interesting, varied and harrowing all at once. I have just finished reading Lost Voices. I found much of it heart-breaking, but also full of great courage. You have done a wonderful thing for sufferers of ME, their families and carers. I hope the book will be read by many people who are currently misinformed or apathetic, and that changes will start to take place. Thank you for this brilliant book. Such powerful accounts of ME. Overwhelming, tragic, yet brimming with courage and hope. Visually stunning. It should be compulsory reading for all GP's, medical students. 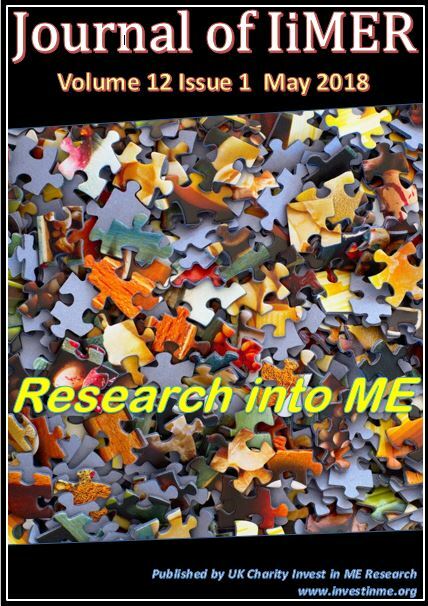 This beautiful and very moving book will surely change people's perceptions of ME/CFS for ever. It is a wonderful testament to the courage and resilience of so many desperately ill children, young people and adults, who battle every minute of every day with this hugely debilitating illness, and to the patience and dedication of their families and carers. The photographs and paintings give an added dimension to the book and sometimes speak louder than words. 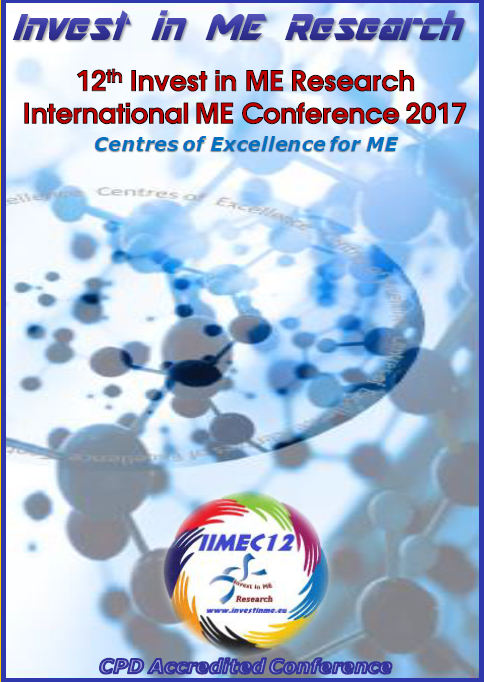 Through its simplicity and honesty this book cannot fail to be a huge agent for change for the treatment of all those with severe ME/CFS. A million "Thank You's" to everyone involved in this book in anyway for all you are doing for all of us with ME/CFS. I am moved to tears. Poignant and moving - with beautiful illustrations. A testament to the fortitude of those portrayed. I am proud to have contributed to the book Lost Voices. It is such an important book because it empowers the hidden, persecuted and neglected people with severe ME. It gives us a voice and shows the world something of who we are. It is also a beautiful expression of creativity and determination in spite of severe disability and illness. It is an incredible piece of work highlighting both the injustice and the need for biomedical research and funding. It also shows us we are not alone in our fight for Truth and Justice. We are many who suffer - our cause deserves to be heard. This book therefore brings hope of being heard and hope for a much needed change of attitude - I also hope it inspires those people who read it who are not ill to take action to make a difference to the current situation. I hope it also brings understanding and affirmation. We should all be proud of what we have achieved. - a moving and powerful statement by some of the most hidden and poorly treated by society , the people who know and care for them and some of the medical people who aim to make a difference. It must surely have a huge impact. I've just finished reading my copy of 'Lost Voices' which I received yesterday (I really should have put it down sooner, as I now feel as dizzy as a blond on a roundabout! but it was so compelling I was spellbound). There are no words to describe my joy at finally 'hearing' the voices of all the brave, kindred souls who battle this disease every day; my despair at the lack of care, help and resources we all endure; my anger at the disbelief, neglect and isolation we have suffered and continue to suffer and my pain at all that has been lost, by both sufferers and their friends and families, to severe ME. Their stories are my story and I cried in solidarity, empathy and hope that those at the severe end of the ME spectrum will finally be placed where they belong - at the forefront of biomedical research and top of the care agenda. I know how much this book has been a labour of love for you and "thank you" seems a totally inadequate way of expressing my gratitude for your (and your family, friends and colleagues) long months of dedication to this project. I am awed by the professionalism of the book and I defy anyone to remain unmoved by its content. I am delighted with this beautifully presented book. It really brings home the harrowing reality of living with severe Myalgic Encephalomyelitis and I wish all professionals concerned with the illness could have a copy. Congratulations to all concerned in compiling it. I received my books yesterday. I think it is terrific, moving, interesting and very important. Just got Lost Voices today and think you've done an absolutely brilliant job, so well done for all your hard work. No one can be anything but deeply affected by all the stories, poems and artwork. Well done again. It's a book that's been needed for a long time. I dived in and read all the stories at once - so much pain - I felt sad and a little disturbed. No matter what as happened to me I still find it difficult to read about young people struggling with this illness. Today - I felt differently reading the book - I had a sense of community - of how hard we are all working to educate people about ME - of how much survival spirit is portrayed in the stories. Thank you once more for putting this project together. Such an extraordinary book; nothing else comes close to it in the ME field, in my opinion, for it is much more than words; this is to plunge deeply into the sights and sounds of an unseen world. It is a journey into ME in all its aspects. This book educates by offering a superb overview of the political and medical issues. It inspires by its heroic focus and it uplifts by its beauty. No one could read this book and still believe in the psychiatric approach to ME. I received my copy yesterday and my first impression was "Thank goodness! Something that finally shows what it's really like." It's a powerful, hard hitting book and if it doesn't make people sit up, take notice and act I'm not sure anything will! I feel like I've had the opportunity to take part in something very special that will hopefully make a positive big difference. The book is so moving. The book is stunning. The contributors must be delighted to see their personal stories presented in such a sensitive & respectful manner. I have to say, it was really emotional to just flick through it - I am going to have to read it in small chunks I think! But that says so much in itself - to see the illness I have portrayed in such a real but quietly true way just blew my mind - I'm not used to seeing the truth of ME in black and white like that. Thank you for doing this - that's why I support Invest In ME: you do what you do so well and your message is so genuine and real. "Lost Voices<?/x-tad-smaller><?/fontfamily><?fontfamily><?param Arial><?x-tad-smaller> <?/x-tad-smaller><?/fontfamily><?smaller>is not just a book about ME/CFS, rather it is a book that has been created and written by the very people who experience the illness first hand; severe sufferers, their carers and their families. The combination of photographs, images and writing found in Lost Voices beautifully express the realities of the illness and its impact not only on the sufferers but on their friends and families as well, giving a voice to so many people who have been left to fight this debilitating illness in isolation. It does not just tell one person's story or even one family's story. Lost Voices brings together and shares the stories of many different individuals, families, carers and friends; each story unique, each story providing an insight into a world that has been invisible to most people for too long. Anyone who has suffered from or is still fighting ME/CFS will find Lost Voices a powerful and uplifting reminder that they are not alone, that there are so many others like them, fighting for recognition, fighting for understanding and fighting for fair and effective treatment. This is a book full of love, courage, hope and determination. This book is not just for those suffering from ME/CFS but is also for their carers, friends and family members. You can share the experiences of others who have been sucked into this hidden and isolated world. Lost Voices also provides an invaluable way of explaining this illness and its impact to those who are fortunate enough not to have experienced it first hand. Lost Voices contains contributions offering insight and expertise from leading figures in the ME/CFS research and support community; Vance Spence, Dr John Chia, Jane Colby and Annette Whittemore - Founder of the Whittemore Peterson Institute for Neuro-Immune disease, which is already producing ground-breaking biomedical research.